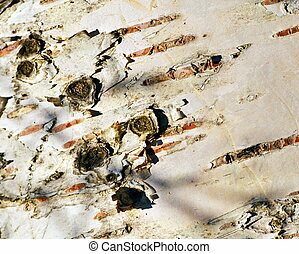 Birch log with peeled off bark. 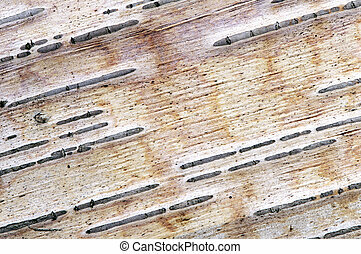 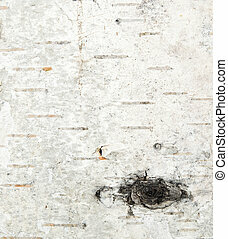 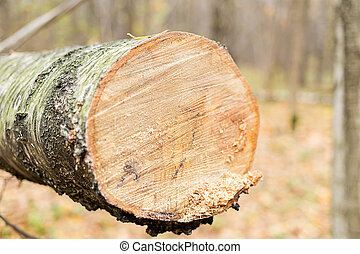 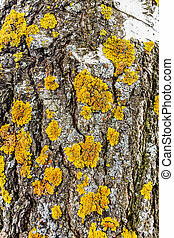 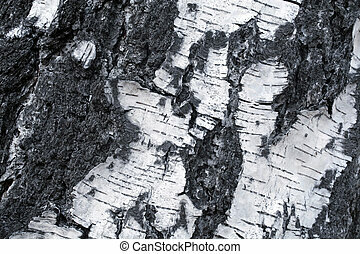 A close-up of birch log with peeled off bark. 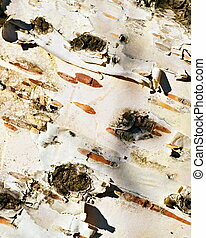 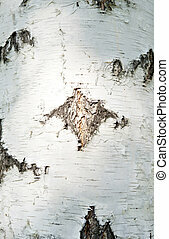 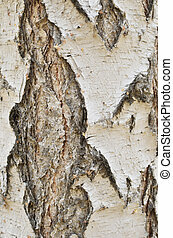 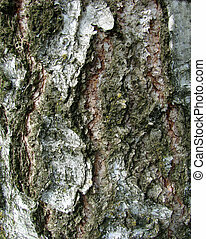 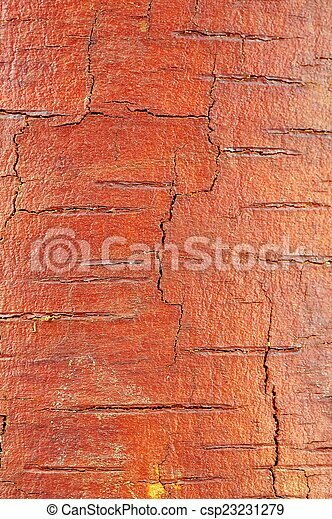 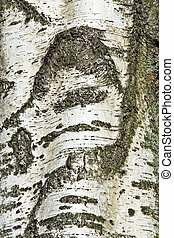 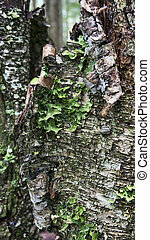 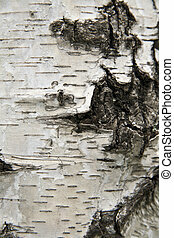 Peeling birch bark with tree lungwort in an Alaskan forest.